I wanted to watch Sawariya out of the two because it’s from one of my favorite director – Sanjay Leela Bhansali (SLB). His previous films have been great examples of creative excellence and I did expect the same from the director this time too. But, When the two films released, the critics happily took the side of “Om Shanti Om“(OSO) They thought Sawariya was boring and dull and on the other hand OSO as colorful and entertainer. I never go by the reviews in a newspaper from one person who does not necessarily represent the entire population. But when viewers too said the same I was slightly disappointed and thought that out of the two OSO is a winner. Anyway, nothing much remains to be told about this movie. Finally I decided to watch Sawariya and saw that they were disappearing from the theaters. Finally got a ticket and watched it last weekend. And I loved it. The movie is different in the way the story has been narrated or shown; probably that is why people did not like it. It takes you to an imaginary town where every corner has beautiful architecture. The color of the movie is blue….everywhere it’s blue, probably to depict the mood of the heroine, I guess. I had predicted the ending based on this choice of color too. Green was the second color in line, which I think, defines the character of the hero. Ranbir and Sonam are too excellent performers. I do not consider them glamorous but they surely will come up based on their acting skills, they have it in them. The best part of SLB is the narration, which is very poetic. The scenes are creative and that supersedes all the other elements; 10 sweet little songs (Mostly short) describe different emotions. Rani rocks in even a very small role. Yes the script is weak, but still I think it’s far far better than OSO kind of movies. I could at least cherish the director’s brilliance and creativity to take us to an imaginary world and to say several thoughts in form a song or expression rather than words. The first song were the actor cheers up a bunch of prostitutes speak more than what is heard. His conversation with the old land lady tries to express few more thoughts. Sawariya is more HUMAN. To me Sawariya undoubtedly, is the winner. At last !! I wanted this kind of review from a person who has seen both. Me too like you, a fan of SLB. When I wrote that post, I was traveling and was told about Saawariya being a flop. But at that time itself I had decided to watch it sooner or later. Going to do that when I get some time and I can find it in some theater. Comparing OSO to this is not fair. OSO, at most would be an one time watch light entertainer. Also, I am not a fan of Farah Khan so can skip it as well. Replying to cuckoo- i think Ajeya could write this post even before watching the two movies. I find his reactions quite pre-conceived. Now, i have not seen either of the two, and neither do i plan to, as my pre-conceived notion is that both are much below par :). I would rather go watch JWM again. @Chintu - I did read that part. Its may be acceptable to immitate someone but it is not to show disrespect to such a legendery actor. Well, every satisfaction is based on an expectations; a pre-conceived thought. That is how you rank any event or level of happiness. A simple explanation to your comment is- I had a set of expectations from both the films based on MY interests and both turned out to be right. I liked JWM and I think it is an entertainer. I watched OSO and it wasn't up to my expectation at all. 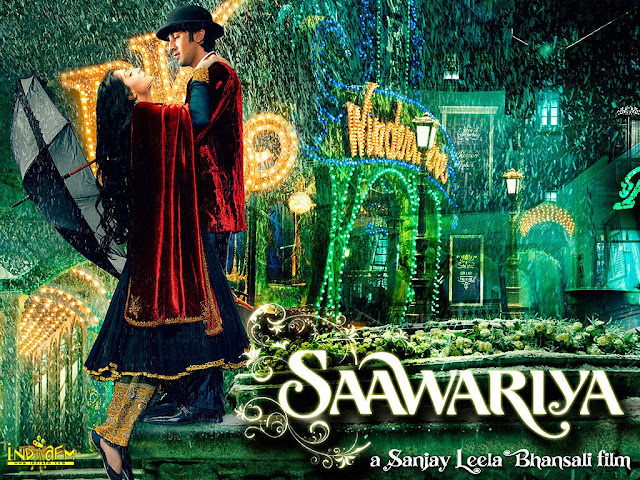 Yet to enjoy SLB's Saawariya. Glad you liked Sawaria and enjoyed parts of the second. And this is off topic but a few of us still feel it is Prakash (Deepika's Dad) who has got good looks! @Indicaspices - How are the bollywood craze in Gulf? @Travel Plaza - Heard that these two movies has topped the charter in US too? @Backpakker - Oh is it, willw a tch the Tamil one. 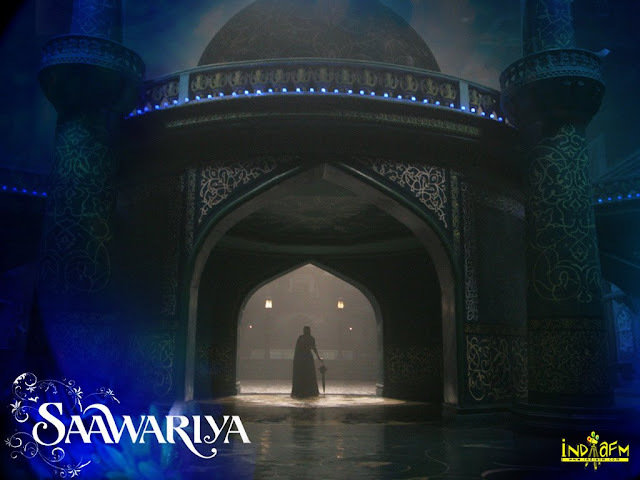 Sawariya is based on a short story called "White Nights" by Fyodor Dostoevsky...A russian writer. Mainstream Hindi films are quite popular in Kuwait, even though the society here is traditionally conservative. Theaters screen hit Hindi films regularly. @Indicaspecies - Very True. When compared with his own movies, it falls much behind.